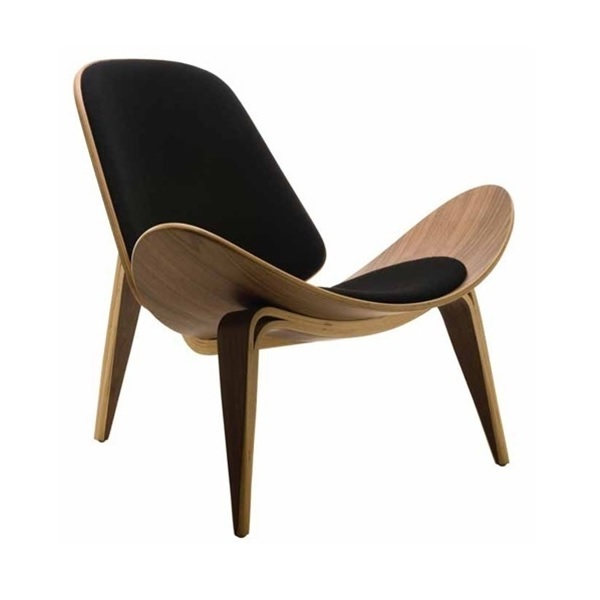 A classic wood chair with a black padded seat that is beautiful from all sides and angles. The Shell chair will add history and beauty to any room. 35" x 21" x 30"